Hehehehe… Probably not the greatest product demonstration video! Watch Guy Tests Bong Strength On Floor Video | Break.com. The Flaming Lips do Pink Floyd…Again! I find myself sitting here enjoying a buzz (thank you Indica!) and listening to tunes. I am now listening to The Flaming Lips doing the entire Pink Floyd Dark Side of the Moon album. I had purchased this album a little while ago and forgot about it until tonight. The Flaming Lips have been around for a long time. Formed way back in 1983, their first album, Hear It Is was released in 1986. They are a band that create weird sonic landscapes. I believe the band’s music is for the most part the creative output of Wayne Coyne, though I do not know if that was always the case. When I first heard them, I thought that they sounded like the bands Yes and Pink Floyd had a baby and that baby was The Flaming Lips. If you like freaky psychedelic, arty insanity rock the I think you should go and procure the entire Flaming Lips discography right away. The iTunes store and Amazon.com have a bunch. Hurry up and get them. I’ll wait right here. Go. OK, now that you’ve done that, smoke some really good cerebral stone weed, put on some good earphones/earbuds (I use Shure SE210s and THEY ROCK!!! 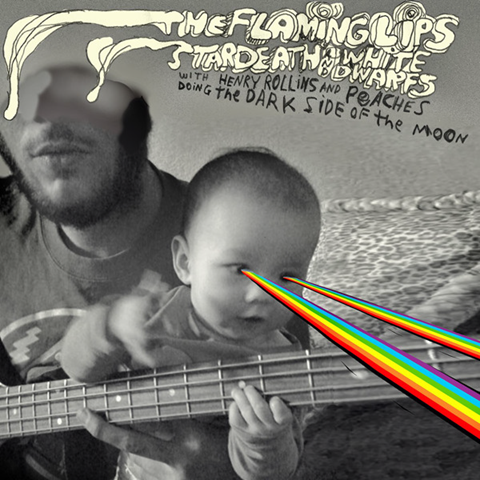 ), and listen to the album, The Flaming Lips & Stardeath and White Dwarfs with Henry Rollins and Peaches doing The Dark Side of the Moon. Crazy long name, but hey: I didn’t make it. It is a great homage to the iconic Pink Floyd album and a sonic roller coaster. I really enjoyed the interpretation of the original material. I believe the artist Wayne Coyne’s love of the music comes through clearly. I am sure some Pink Floyd snob-purists will disagree with me, but that is fine: I like it. So, go listen to this album stoned. Now. Just stumbling around the web this evening and I ran into this: Peter Tosh’s Legalize It of Youtube. I haven’t heard this song in a long long time. If you enjoy enjoy it, make sure you look for more music from him and other great Reggae artists, as there are a lot of them. Click on the picture for a link to the full size image.